We like the mansion like feel in the hotel's lobby area, which hasn't changed over the years. 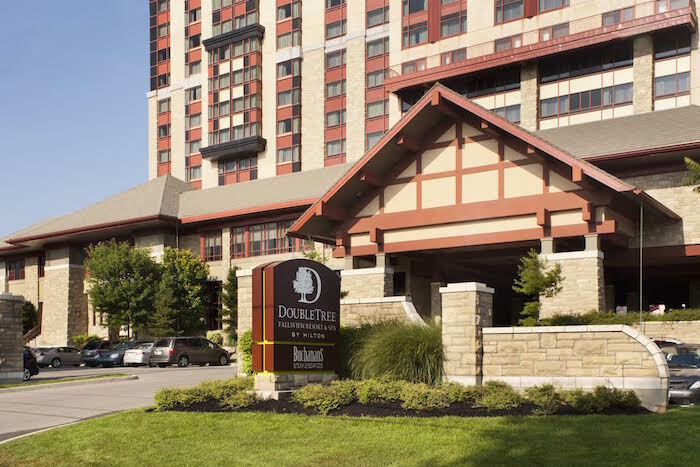 The staff at DoubleTree Niagara Falls are friendly and welcoming. 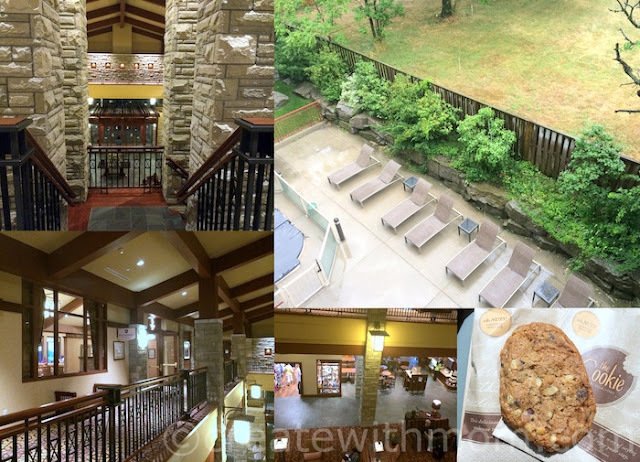 We like the special welcoming treat that is given to all the guests at DoubleTree hotels; their famous and delicious walnut chocolate chip cookies. During our stay at the hotel, we enjoy visiting their fitness room and the pool. The hotel has a Spa with a variety of different services. There is gift shop and a Starbucks in the lobby. Depending on the package you take, you can enjoy their complementary buffet style Continental breakfast. We can also enjoy lunch and dinner at the Buchanans restaurant within the hotel. The hotel room has a small fridge, coffee maker, strong WiFi, and other standard amenities such as iron and hair dryer in the room. We usually pick the river view rooms when staying at DoubleTree Fallsview Resort and Spa by Hilton Niagara Falls, and choose a night when the fireworks are on, as it is fun to watch it from the hotel room. Usually fireworks at the falls are on at 10 p.m. on Sunday, Wednesday and Friday, and on holidays. I like that we can park at the hotel, and walk or take the WEGO to enjoy attractions at Clifton Hill and Niagara Parks. It is convenient to use the WEGO pass, which is valid for 48 hours from the time of activation, so we don't have to drive around and pay for parking at the different attractions. WEGO stops are close to the hotel, and have routes that take us to all the attractions at Niagara Falls. 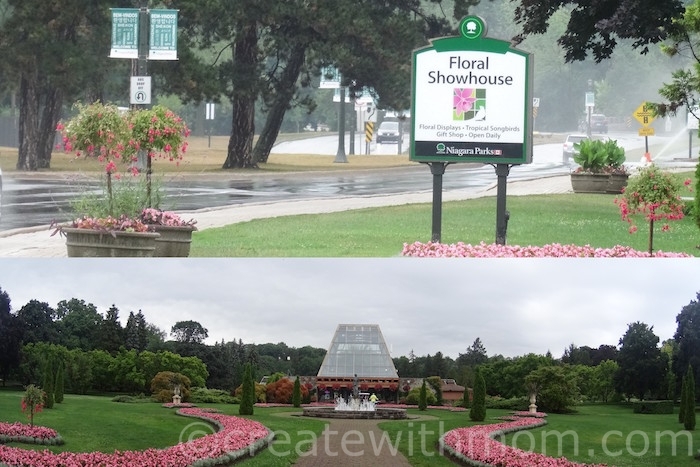 This year we took the Falls Incline Railway to get to the falls quickly and walk to the Floral Showhouse. 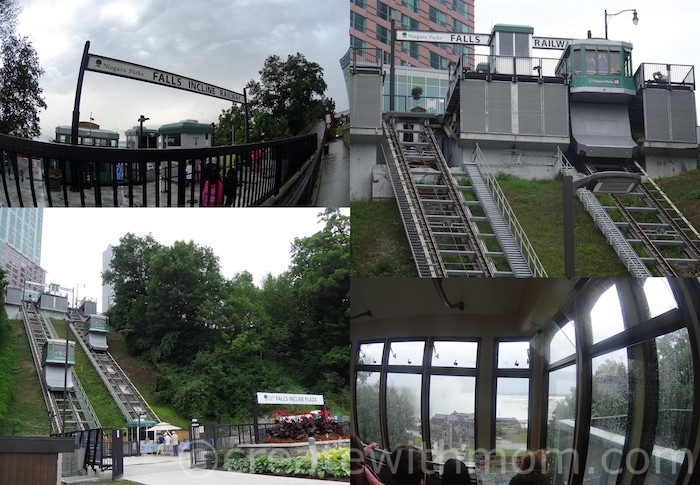 The Falls Incline Railway goes back and forth. 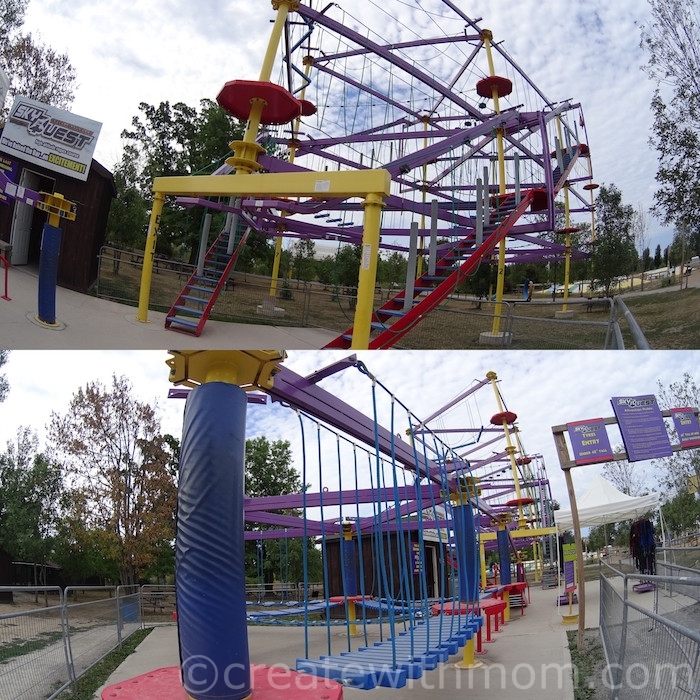 It is a fun way to see the falls from a different perspective. The Floral Showhouse is open all year around and showcases different flowers. The greenhouse has a variety of cactus plants and colourful flowers. 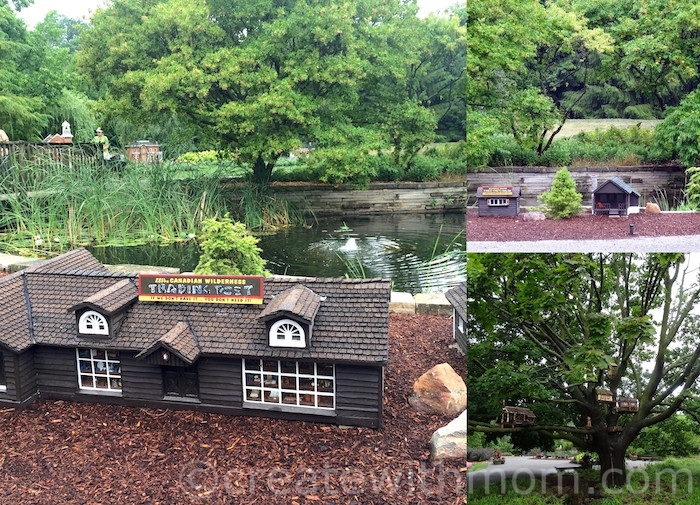 Outside the Floral Showhouse there are miniature house models, which were cute and interesting. The different types of houses and stores looked real and detailed. 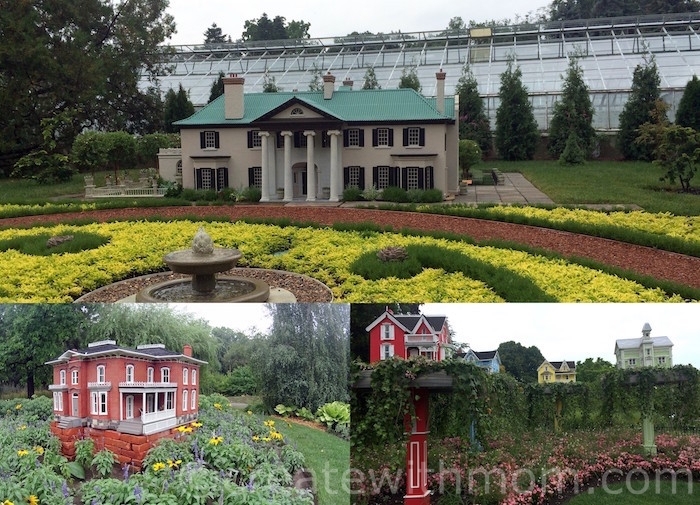 After enjoying the flowers in the greenhouse and the miniature house models in the outdoor area, we took the WEGO to the Niagara Parks Butterfly Conservatory. We enjoy visiting the Niagara Parks Butterfly Conservatory, as it is exciting to see the different coloured butterflies fly everywhere. It is a special feeling when some of the butterflies land on us. I find this conservatory an educational place to teach children about butterflies. To enjoy Niagara Parks, we can either purchase the Adventure Pass or purchase individual entrance tickets to the attractions. There is also a lot to do at Clifton Hill, check out our previous post to read all about the exciting attractions at Clifton Hill. If you purchase the Clifton Hill Pass there are five attractions you can enjoy, as well as play in the arcade. While at Niagara Falls, you can also check out Safari Niagara and spend a fun filled day. When purchasing tickets to Safari Niagara use the code ref1602 and get $3 off any admission. Rain or shine there is lots to do at Niagara Falls, and staying at DoubleTree Fallsview Resort and Spa by Hilton makes it easy to explore Niagara Falls. Took our entire family to that location over Christmas about 10 years ago. Absolutely LOVED it! Glad to see it is still looking as beautiful as it did then! Really nice! We are thinking about bringing our son on a trip to visit Niagara Falls. Never been. This looks like a really nice place to stay. We went about 20 years ago. We need to go back! It looks like a lovely place to visit and stay.